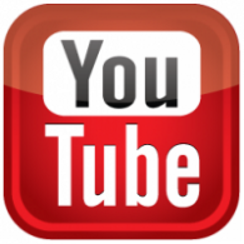 Here are some possibly useful links. These links contain the picture in question. Plan to use Google translate unless you are brilliant. I think this is a picture of the shroud. Some time ago I found an interesting illustration of a "long" Mandylion. First in the Holger Kersten&Elmar Gruber book "Jezus ofiarą spisku" (the polish edition of The Jesus Conspiracy) I provide a scan from it [Illustration1]. The picture is not adressed anywhere in the book, and as the source is given simply "Bibliothéque Nationale". The same picture is reproduced in Antonio Teseo blog, who gives the source as Bibliothéque Nationale, ms lat.2688, dated 1280-85. Another time when I saw this illustration is in Francesac Saracino 2007 documentary LaSacra Sindone; la storia. [Illustration2]. It confirmed that the illustration is generally monochromatic. 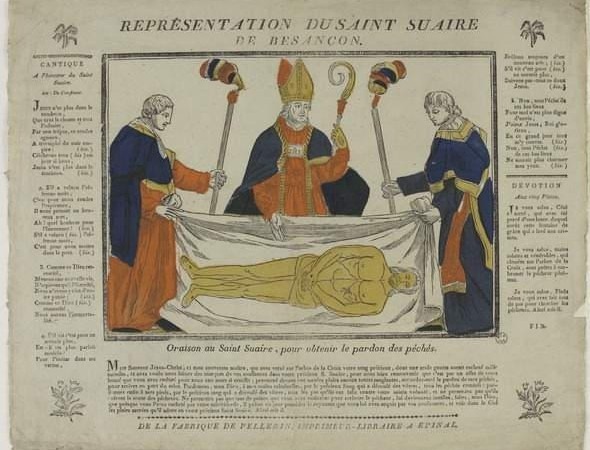 However it is certain that the cloth is "long" (just look on the position of hands and the frame [Illustration3]), even though nothing more except the face is seen on it. It shows that the cloth have been considered by some as much larger than often claimed, larger than just handkerchief. Possibly large enough to contain the image of the whole body (as implied by Codex Vossianus and Ordericus Vitalis), even though, as I said, only face is depicted on the presented illustration. 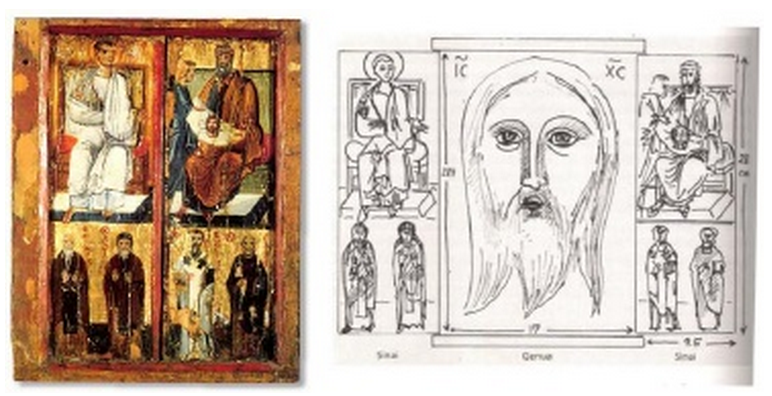 A collection of photo images related to the "Mandylion of Edessa", a semi-legendary relic of Christianity, a square or rectangular piece of cloth bearing the image of the face of Jesus Christ, which first appeared in the city of Edessa in the 6th century. Many believe that this relic and the face on the Shroud of Turin are one and the same. I count 29 different images, all with captions and most with extended captions. Interesting. It should be a useful reference. Pinterest seems interesting. I tried a search with “Mandylion of Edessa” and got similar, but different, results. It is different than Google Images. There is a new book out. 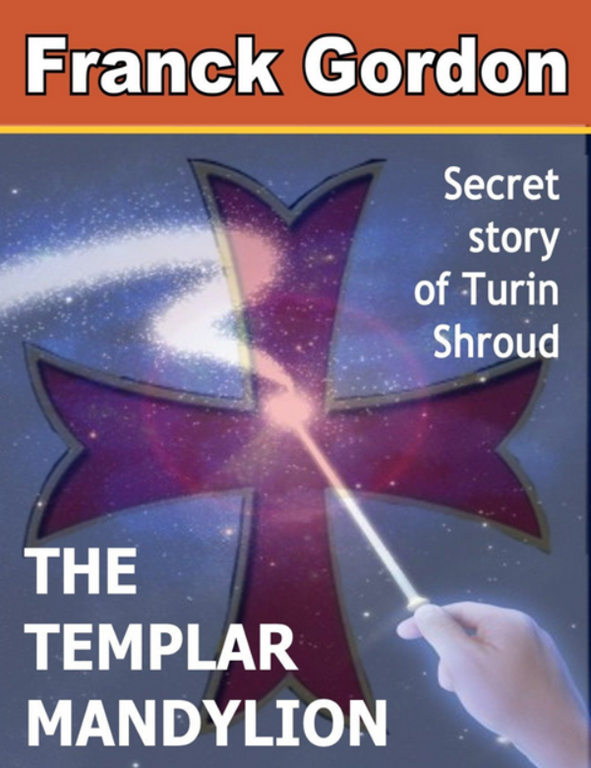 It’s called the The Templar Mandylion: Secret story of Turin ShroudThe Templar Mandylion: Secret story of Turin Shroud by Franck Gordon. Amazon sells it for the Kindle. No other editions seem to be available. The body of a man strangely vanished a long time ago. This man left behind him historical and physical clues about his existence. This is one of the greatest enigmas of our time. During my life, I have devoted my hobbies to do research on archaeological, religious and scientific enigmas. Intrigued by all that is mysterious and unusual, it is with a mind of engineer that I analyzed unexplained mysteries and impossible objects found on our planet. There is several years ago, while I was preparing my Templar Saga, I discovered a « Templar Mandylion » in Britanny. This historical and religious mystery still remains unsolved to date. Is it the « Baphomet » venerated by the Templars and which led them to the stake? I tried to explain this mystery in my book « Le Code Templier » and during a lecture made in the chapel of Sainte-Marie du Menez-Hom, near the site of my discovery. 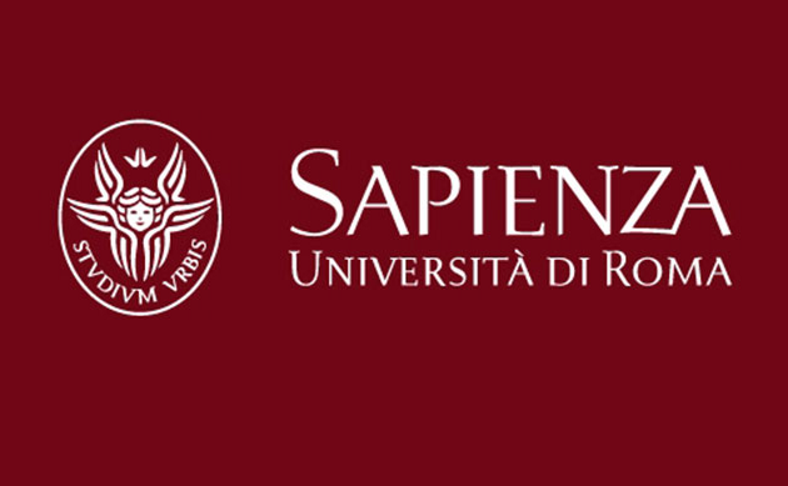 For many years I presented my ideas during lectures on the subjects of my research: Worldwide Genealogy and Huge Databases, Camera Obscura and Shroud of Turin, Templar Mandylion and Baphomet, Popol-Vuh and Terraforming of planets, moons, etc… I explained all these topics, and many others, in novels and essays such as the Mormon Case, the Templar Code, the Templar of America, the Templar Mandylion, and the Popol-Vuh. I propose now all these works in book exhibitions, at the end of my lectures or on the web. I would like to warmly thank my readers for their comments posted on the web, or received by e-mail or by letter. Come on Cirac website in the Book Club that I created with the help of writers, journalists, publishers and booksellers. 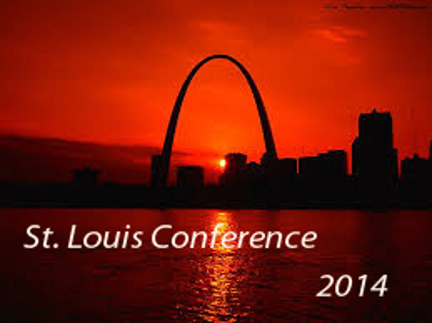 You’ll found authors, books, lectures, articles, and also a lot of ideas. I believe that the Franck Gordon is a nom de plume for SSG shroud researcher François Gazay. I’m not suggesting that you do not buy the book. But first you may want to read Relations of a Breton Calvary with the Shroud and the Templar Knights by François that was presented at Dallas 2005. And when you go over to Amazon, click on Look Inside. BTW, I do find this subject fascinating. at the Sainte-Chapelle. The Shroud of Turin was lying silently in a reliquary of the Sainte-Chapelle waiting to be discovered by a more attentive and humble group of clerics. Take the time to carefully read both postings. The following from Mario’s conclusion may whet your appetite. 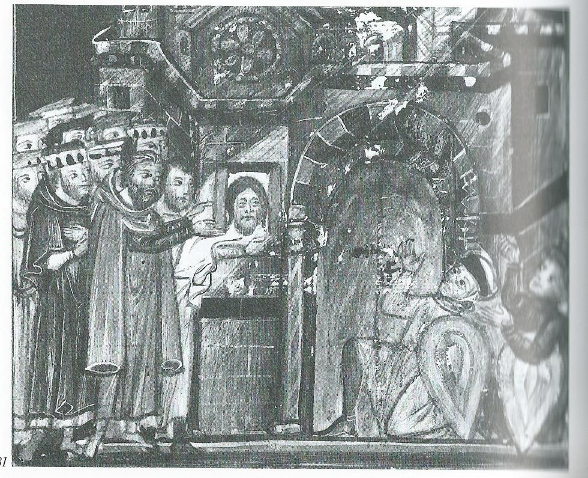 It is almost certain that the reliquary of the Mandylion did reach the Sainte-Chapelle as part of the relics ceded by Baudoin II to his relative Louis IX, and it is very likely that the Mandylion was in its reliquary. The size of the Mandylion, which is a cloth, appears large because 1) the first inventory states explicitly that it is large; 2) the Golden Bull of 1247 as well as the first inventory of the Grande Châsse does not mention any portrait in the reliquary and all the late reliquaries mention an image at the bottom of the reliquary, therefore the cloth appeared large enough to hide that image; 3) because no image is mentioned in the first inventory and the Golden Bull, the cloth also appears folded; 4) the reliquary of the Mandylion was large enough to contain a folded cloth as large as the Shroud of Turin, as a matter of fact, it was just the right size to do so. It is also likely that the Mandylion disappeared from the Sainte-Chapelle between the early 14th century and the early 16th century based on the presence of a cloth mentioned in the first inventory and the Golden Bull although none are mentioned starting in the early 16th century. In natural sciences, it is customary to formulate an hypothesis to compare it to the observations. It is also a process that is easy to do because once an hypothesis is well described, the comparison is systematic and simple. That same process can be applied to the inventories, which are mainly observations about the reliquaries and relics. In the following, we propose two opposite hypotheses about the Mandylion and its reliquary and compare them to the inventories to see which hypothesis is the most coherent. 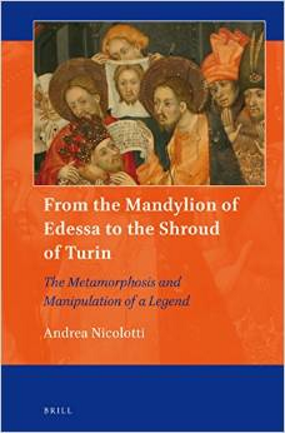 The first one is similar to Andrea Nicolotti’s hypothesis whereas the second one is based on the thesis that the Mandylion is the Shroud of Turin. Between the date of this exposition in 1203 and the first exposition of the Shroud of Turin at Lirey around 1356, there is a 153-year gap. 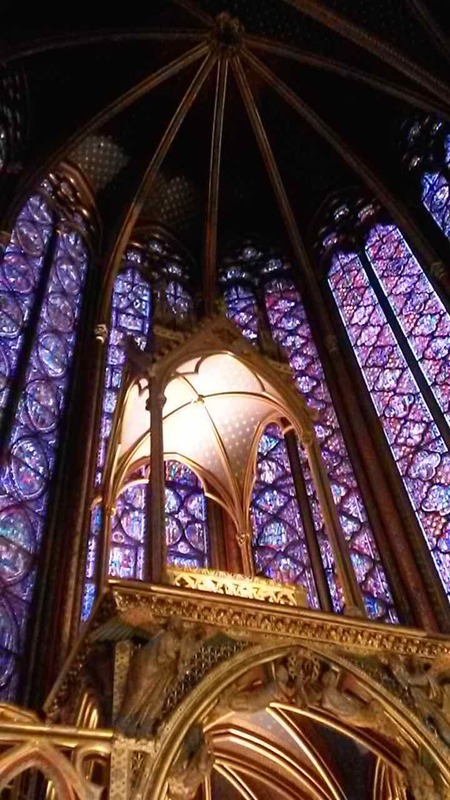 The thesis of the Sainte-Chapelle explains this silence without referring to a complex and obscure scenario. This silence was simply due to the lack of knowledge and attention by the Latins to the most obscure relic in the Grande Châsse at the Sainte-Chapelle. The Shroud of Turin was lying silently in a reliquary of the Sainte-Chapelle waiting to be discovered by a more attentive and humble group of clerics. 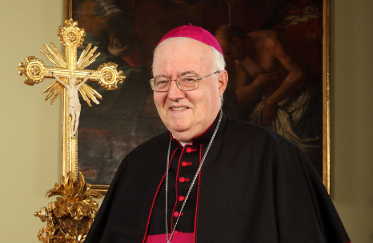 How and why the Mandylion was passed to Geoffroy de Charny has not been discussed. But we can already see that the appearance of the Shroud at Lirey occurred during the disappearance of the Mandylion at theSainte-Chapelle…. © Mario Latendresse. Photo taken 26 April 2015. 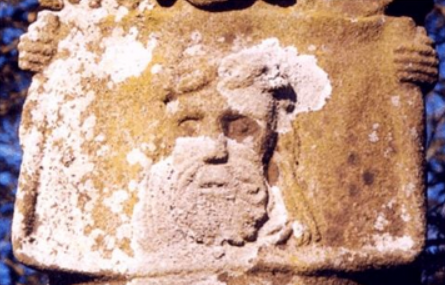 Google Translate says: To which attributes the discovery of the icon hidden for centuries in a niche of the walls of Edessa and prodigiously duplicated. A ‘icon, then, on two different media: the original on a towel folded four times (‘ rhakos tetradiplon ‘) and the copy on tile (‘ Keramion ‘). It was believed that the copy was formed by contact with the original on Keramion place to protect that niche. An Icon that in both formats ‘achiropita’, ie not painted by the hand of man, even to distinguish it from the pagan idols, facts instead of human hands (‘deadly works facta’) as reaffirm the imperial laws. Since then it was kept in the cathedral rebuilt by Emperor Justinian made. In 639 Edessa falls under Islamic rule, which saves the icon from the havoc of the Byzantine iconoclasts. From then on it is called Mandylion…. 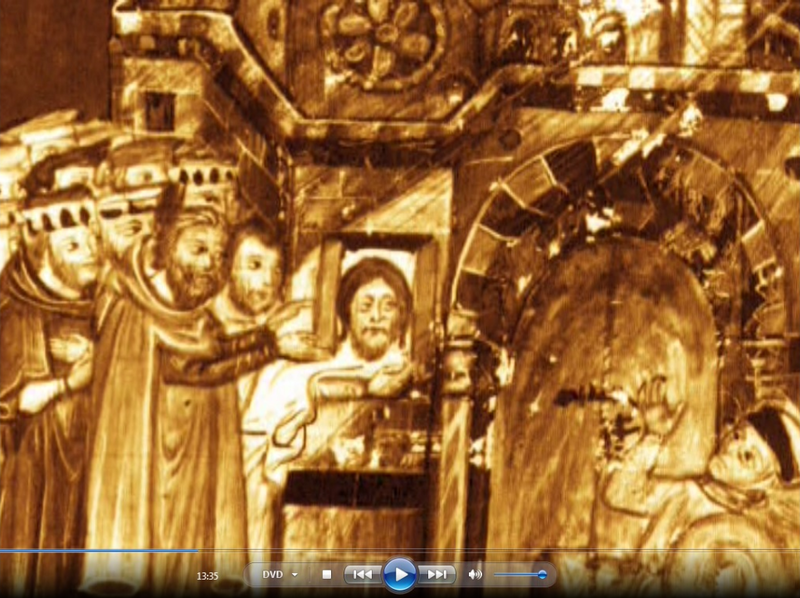 The Shroud of Turin is not the Image of Edessa? In 1997, Professor Robin Cormack, an art historian, concluded that Wilson’s identification of the Turin Shroud with the Mandylion was “an impossible guess”, pointing to a depiction of that icon in a St. Catherine Monastery panel painting that is datable to 945-959 (Figure 1). 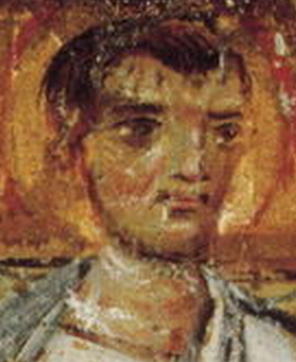 In 2010, Wilson acknowledged that “a fringe runs along the bottom edge where we would expect the Shroud’s fold line to be,” but he then proceeded to argue that varying portrayals of the Mandylion cancelled out one another as reliable representations of that icon and made it improbable that Byzantine artists “had actually viewed at first hand the original Image they were copying”; however, this stance constituted a rather dramatic about-face from that which he had assumed in 1998 when, in support his folded-relic hypothesis, he had contended that copies of the Mandylion, such as the now-lost image of Spas Nereditsa (Figure 2), “convey other recurring possible clues to the original’s appearance”, such as a lattice-type decoration possibly denoting the presence of an overlay grille and an image which had been set upon a landscape-aspect cloth. 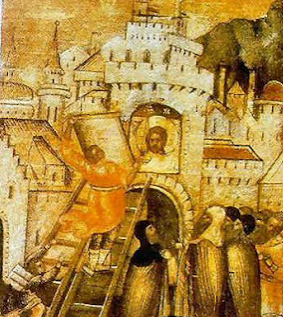 If, as Wilson presently asserts, Byzantine artists did not actually view the original Mandylion in producing copies of it, then depictions that feature lattice-type decorations and landscape-aspect cloths would not necessarily be evidential of that icon having been the hypothetically folded and framed Turin Shroud. 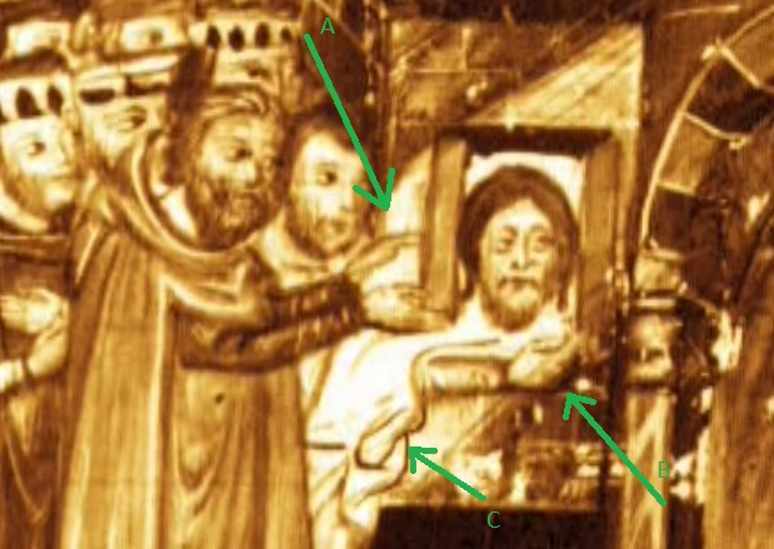 Not only does the cloth of the Image of Edessa, as so depicted, strongly resemble an imaged Byzantine labarum (see Figure 19), but also the image of Jesus presented on that cloth mirrors the facial image of the Turin Shroud, absent its wounds and bloodstains, particularly with regard to their respective mouths, beards, and uneven lengths of hair (see Figure 20),and if the tenth-century Image of Edessa was, in fact, a late sixth-century Byzantine labarum, an object which modern scholars “nearly universally believe” to have been modeled upon Constantinople’s Image of God Incarnate,then that archetypal acheiropoietos image of Jesus was almost certainly the Shroud of Turin. 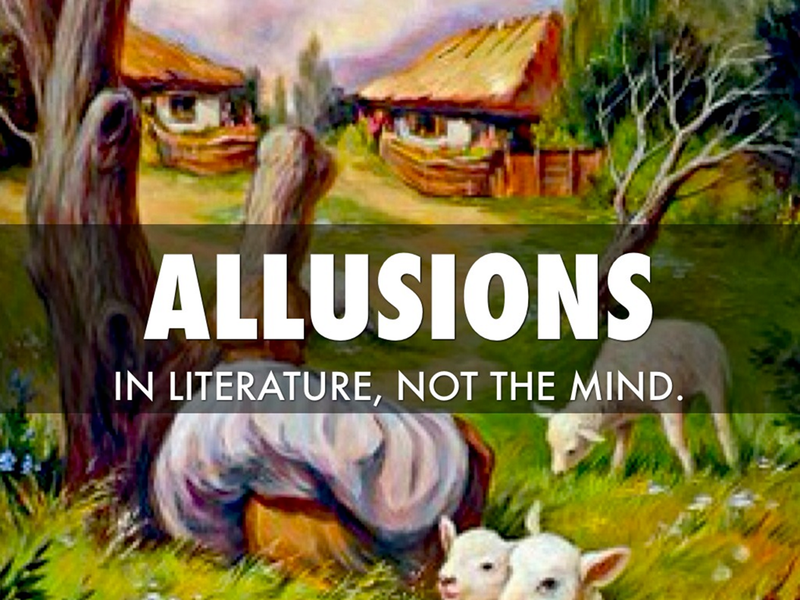 than careful, meticulous and objective analysis without preconceived ideas. — O.K. 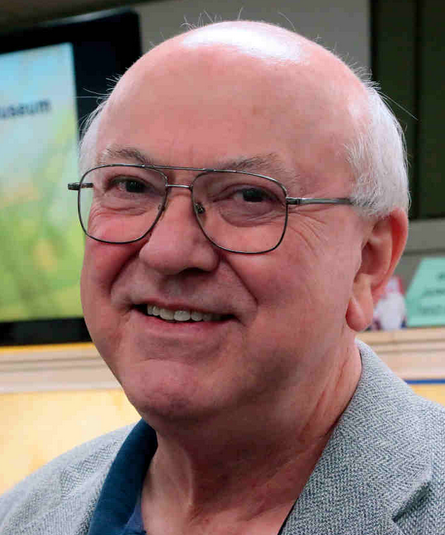 Contrary to Peter Schumacher claims, after analysing BW photos of the Shroud I see no compelling evidence (and definitely not "beyond any reasonable doubt") for the presence of the postulated halo around Shroud face. According to my analysis there are no significant differences of intensity in the region around the face, compared to other non-image, non-burn areas (even if some regions around the face appear minimally darker than average background), not to say about any circular-shape „halo” around the face. In my opinion the postulated and fitted halo is more a result of wishful thinking, than careful, meticulous and objective analysis without preconceived ideas. This does not mean that I reject Wilson and others theory that the Mandylion transferred to Constantinople in 944 was actually the Shroud. In my view, the analysis of documentary evidence created after the transfer leaves practically no room for other conclusion. This is another topic, however. Yet also I think that the history of the Mandylion, as both concept and physical object(s), and its relation to the Shroud is far more complex than most researchers assume and current theories do not give full answers for all questions and issues. In December of 2013, Dr. Petrus Soons and I began a study of the Shroud of Turin with a particular focus on the area around the face of the “Man of the Shroud”. 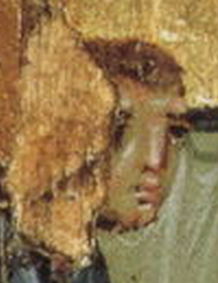 It had been observed by Dr. Soons that there appeared to be a difference in shading surrounding the face that was perhaps coincident with the Mandylion representations in artworks and that further study might provide a more conclusive determination as to actual Shroud image properties and such content in artwork representations of the Shroud. “Using several Shroud images of different types and dates; various image analysis and measurement techniques; and, employing graphic overlays to compare extracted features to various artworks and Icons, it is my conclusion that the statements made by Dr. Soons are demonstrated to be accurate beyond reasonable doubt. I defer to the considered works of Ian Wilson and other accomplished historians as to the impact of the results of this study, as I am not a historian. While it is true that not everyone has a VP‐8 Image Analyzer system available to them; and, while they may not have all the images available to them that I used in this study; I am convinced that this evidence is conclusive and can be readily duplicated by anyone reasonably capable in the disciplines applied while using a variety of easily accessible tools and even some readily accessible images. I would like to draw your attention to a narrative I have recently placed online called: The Lirey Toga. This is the result of research into my ancestors, the De Noyers, and their involvement with the Holy Shroud, later known as the Shroud of Turin, when it was in France during the Hundred Years War. While carrying out this work many links came to light between the Holy Shroud and Joan of Arc culminating in a remarkable conclusion concerning the Holy Shroud itself. It is interesting, well written and informative. I am reminded of Daniel Scavone’s several papers in which he argues that emerging knowledge in Western Europe about the Holy Shroud in Constantinople, the Mandylion, inspired the legends of the Holy Grail. Some papers, I think, to read once again on an autumn Sunday afternoon. a Van Dyke painting. Reluctantly, I believe the answer has to be that she did not since such an occasion would, without doubt, have been recorded. However, apart from such fascinating conjecture, the proximity of the Holy Shroud to Joan’s birthplace of Domrémy lingers in the mind and I begin to wonder if there are other links between the Shroud and her life. . . . The essential features of the Arthurian saga, containing both historical and fictional elements, have been fulfilled in the life of Joan of Arc. All have become real: Excalibur and Joan of Arc’s sword from the church of Sainte Catherine of Fierbois. There are the several Avallon links via the families associated with caring for the Holy Shroud and, especially, Joan’s riding out of Avallon on the way from Vaucouleurs to Chinon. There are the dramatic similarities between Lançelot and Alençon. There is the route of military confrontation followed by both Joan of Arc and Arthur along the Loire with both ending up in Burgundy. Furthermore, both are betrayed. What Arthur does in history and fiction, Joan of Arc does in reality. I fully believe that her realisation of Galahad makes the Holy Shroud, with which she has many links, the equivalent in her life of the Holy Grail. This being the case, since all the other main features of the Arthurian saga have been realised, the Holy Grail itself is now actualised in the form of the Holy Shroud. In other words it too becomes real. This means it is, truly, the Holy Shroud of Jesus Christ. This immensely holy item, the Holy Shroud, has here been identified with the Holy Grail. Is this acceptable? Does the Holy Grail itself contain information that could provide the answer to this question? Here is something interesting. What is to be found in the twelve letters that constitute the three words, The Holy Grail? One word that can be made if the letters are reconstituted is, LIREY. Among the remainder of letters a second word stands out and the letters are in the correct order. 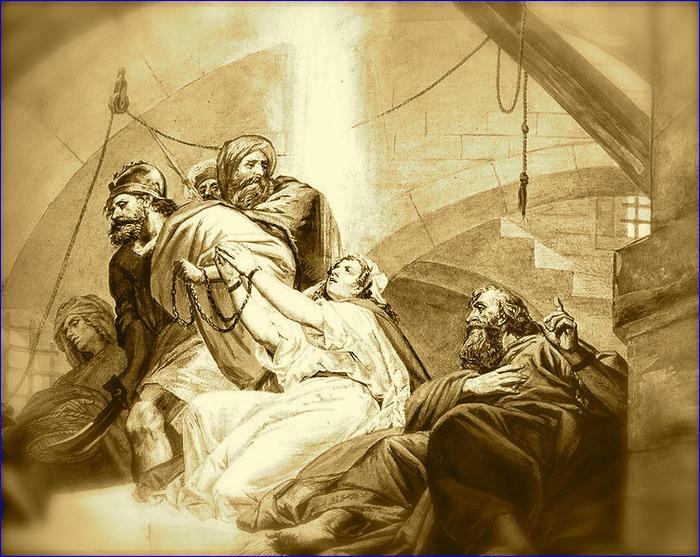 The word is, TOGA, defined, and so similar to the Shroud, as a long piece of cloth worn wrapped around the body. The Holy Grail transmutes itself into the Lirey Toga, a garment worn by a living Roman at the time of Christ. How appropriate considering Christ’s miraculous Resurrection. Do read it. You will learn a lot about and from the . . .
poets, chroniclers, knights and others who were involved tell their own stories and, in so doing, illuminate this time in history, the Hundred Years War, when a most extraordinary and important story unfolds. The Metamorphosis and Manipulation of a Legend? The price for the Hardcover edition is $124.00 at Amazon. The list price is $142.00. (Please note that Amazon is reporting that the book has not been released even though the publication date is September 15th. Nonetheless, Amazon is accepting orders at this time). A limited preview of the first chapter and the conclusion from the last chapter is available at Academia.org. The Table of Contents and Index are also provided. 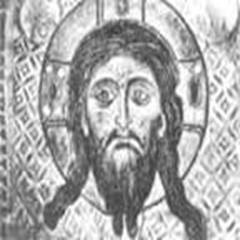 There is not a shred of evidence that the Mandylion of Edessa was a long shroud or that it showed the entire body of the crucified and wounded figure of Christ. Those who argue for the shared identity of the Shroud of Turin and the Mandylion of Edessa have based their arguments on evidence that cannot withstand close scrutiny. In order to argue for the authenticity of the Turinese relic, some have gone to great lengths. In so doing, they have approached the changing nature of the legends concerning this relic too simplistically. More-over, they have used evolving legends as if they were trustworthy historical sources, which is utterly unacceptable. It is clear that the ultimate aim of the theory that identifies the Shroud with the Mandylion is to demonstrate that the Shroud of Turin has existed and can be documented since antiquity. But the first historical documents that mention the Shroud date to the fourteenth century, and the date obtained by radiocarbon dating places it between 1260 and 1390 CE. The history of the Shroud is the topic of my next book, but it is important to clarify that even if the Shroud was authentic and dated from the first century, it is a completely different object than the Edessean image. Order it today and Amazon will ship it the minute it becomes available. I look forward to reading this book and his next book on the history of the Shroud. 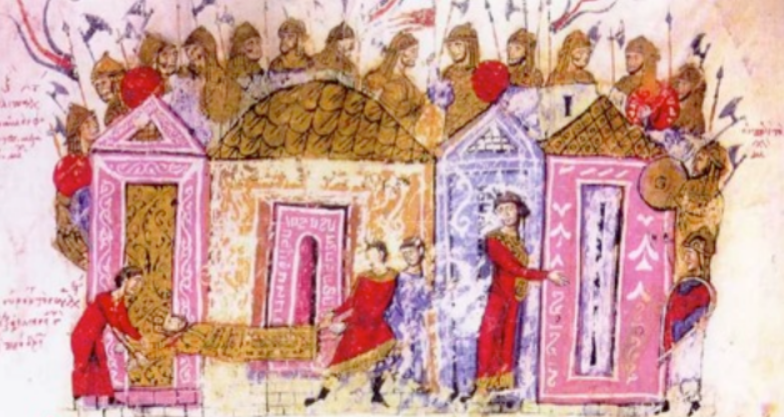 In Constantinople, the Edessa cloth-image was named, described, and/or depicted in art in at least 17 documents. Some writers saw only the face of Jesus visible on the folded cloth (Mandylion). Other eyewitnesses describe blood and full body on the cloth. 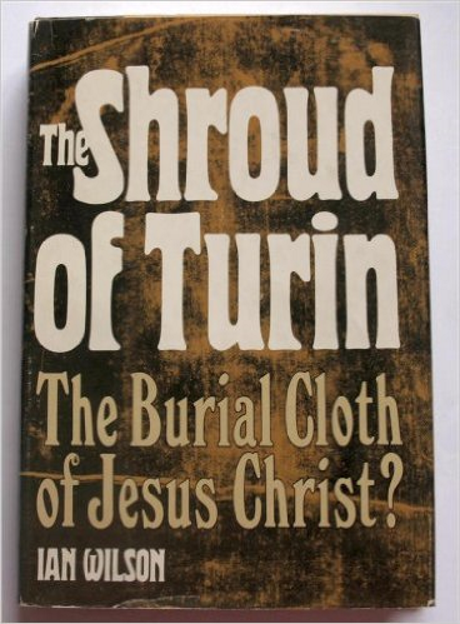 My study of these texts provides strong evidence that the imaged cloth from Edessa to Constantinople was the cloth known today as the Shroud of Turin. 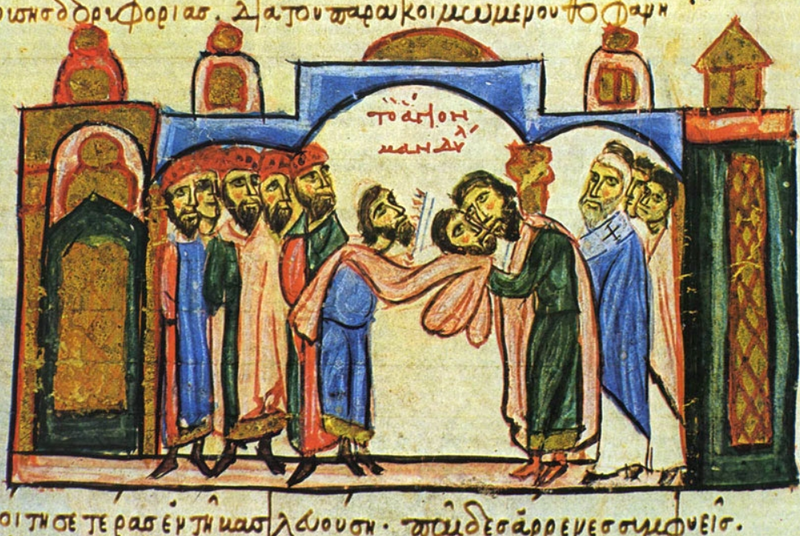 Picture: (Click to Enlarge) Surrender of the Mandylion of Image of Edessa by the inhabitants of Edessa to the Byzantine parakoimomenos Theophanes, unknown 13th century author – Chronography of John Skylitzes, cod. Vitr. 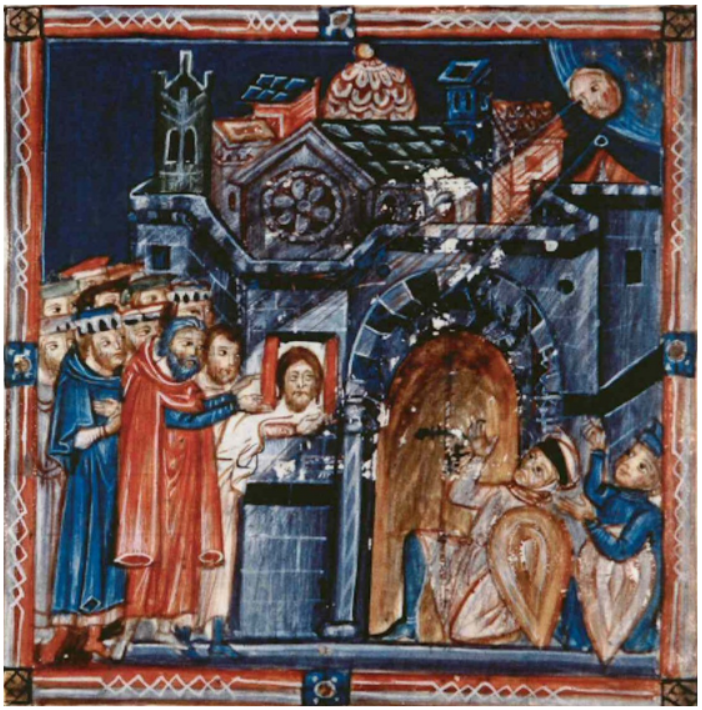 26-2, folio 131a, Madrid National Library. From Wikimedia: The official position taken by the Wikimedia Foundation is that "faithful reproductions of two-dimensional public domain works of art are public domain". This photographic reproduction is therefore also considered to be in the public domain.